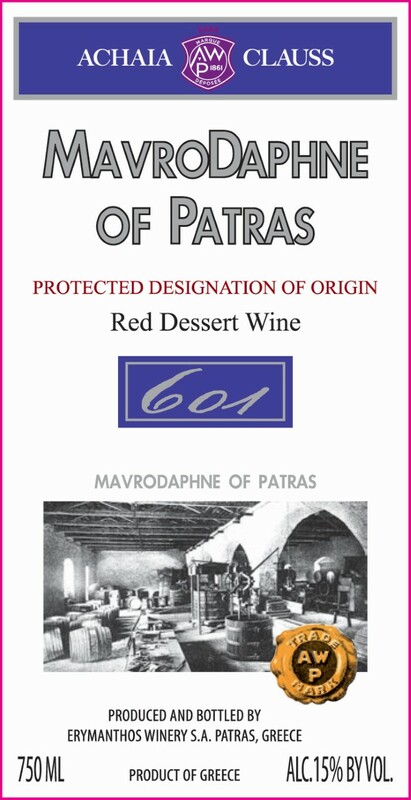 A full-bodied red dessert wine that dates back to 1854, Mavrodaphne has a rich yet delicate taste and a port style aroma with hints of coffee, toffee and rich, spicy nuts. Refined raisin and black cherry fruit flavors are layered with smoky, caramel tones. 100% Mavrodaphne. 750 ml bottles.